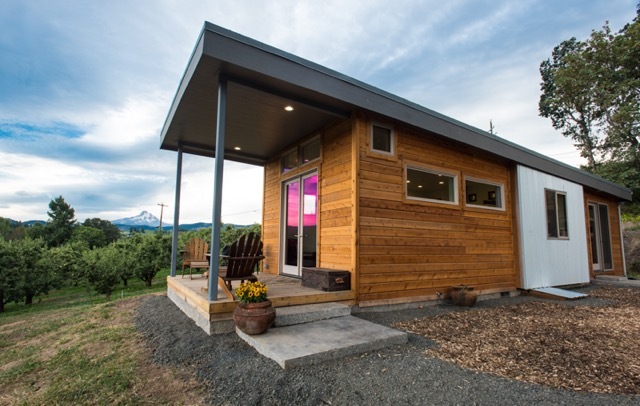 While having a custom-designed home might seem like the golden standard in terms of getting that beautiful and exquisite architecture, design, and decor elements, there are many good reasons why you might opt for a prefab house instead. First of all, you have to consider the cost. Building a custom house requires you to pay 15-30% more. Then, there is the significantly longer time frame necessary to build a custom house from scratch. With prefab houses, you simply order the kit, and then you can actually put the pieces together by yourself, provided that you have some construction experience. Architects are not that cheap to hire, so if the whole prefab house idea doesn’t make you happy, you should expect to give 8-15% of the project value to the architect. If you are planning on building a house worth $100,000 you would be paying an extra $8,000 to $15,000 to the architect. — If this doesn’t chip away at your enthusiasm, then you are probably making the right call. Anyway, for all of you who are on board with the prefab home idea, we scoured the internet for 15 designs that will show you don’t have to wait years to have a brand new home. 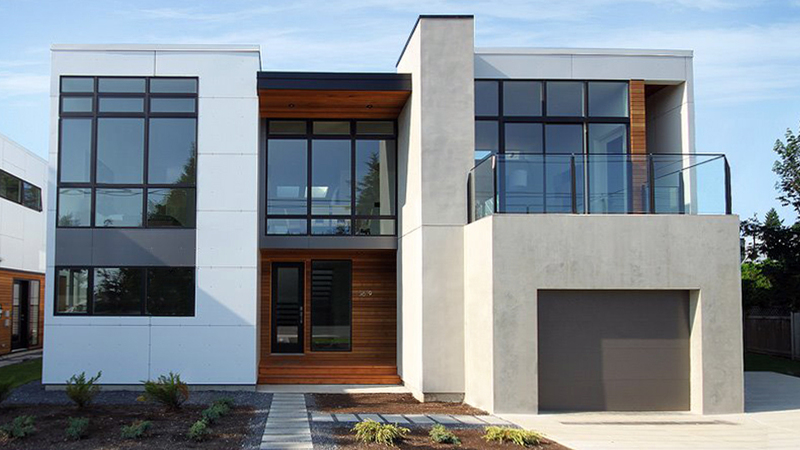 Developed by Method Homes and Skylab Architecture, this design comes in different sizes. Regardless of size, the house will be made of 100 sq. ft. triangular models that can be transported hundreds of miles away from the construction site. If you are looking for the cost effective option, the 1 bedroom 900 sq. ft. XS model is perfect for a couple with no kids. However, you have to think about the future, which is why the 3-bedroom M model would be more suitable if you think you will expand your family in the future. Besides, the M, L and XL models offer garage space. The very essence of the design is to combine coziness with some pragmatism, and we can say they nailed it. 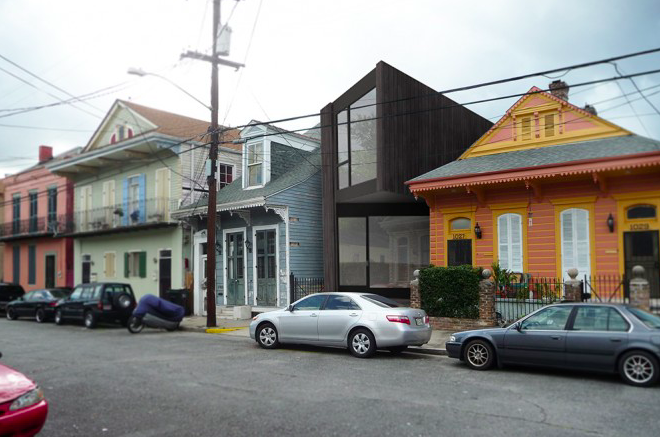 A great feature of the HOMB house is that regardless of how small it is you always get at least 400 sq. ft. of deck space. How awesome is it to wake up in the morning to drink your coffee on the deck watching the sun rise up? It’s not only very romantic but also relaxing. Such an experience fuels you up for the entire day that lies ahead of you. It’s important to note that in many cases it may be necessary to provide a site plan to obtain various home building permits from your city hall or township. You can turn to 24h Plans to get a custom site plan drawing prepared for your dream home in less than 24 hours by our team of experienced architects and drafters. Use the promotion code: 24hplans-20off to get a 20% discount off any package. — Please note this is a limited time offer, exclusive to the readers of our blog. This offer is not being advertised anywhere else. The outside design suggests a contemporary architectural style. The large windows call for openness and make you feel one step closer to the outer world. The era of tight dark places has gone by as people began to embrace modern architectural features. The design comes in many sizes that influence the price. 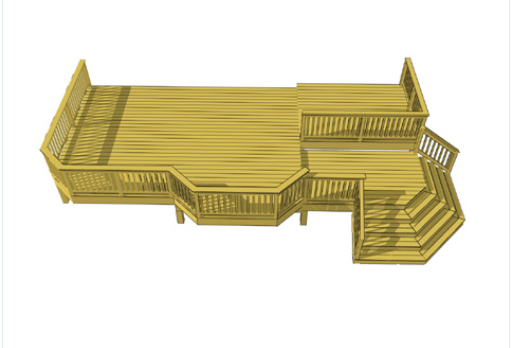 You can opt for a completely modular design to keep the costs to a minimum but if money is not a concern, you are free to choose a model that requires on-site customization. 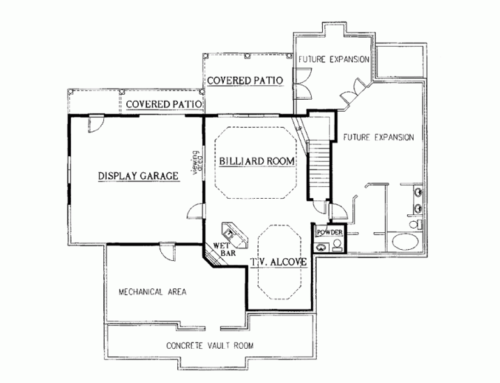 For example, a 1,643 sq. ft. house with 3 bedrooms, 2 baths and 277 sq. 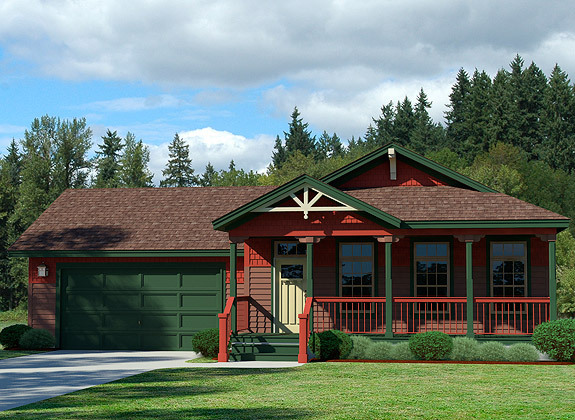 ft. garage space is made of 2 modules that can be assembled on site for $262,880. If you choose the modular+ site option, the price goes 60-70% up and you are looking at $420,000 minimum. The design can be adapted for a buyer who needs only 1 bedroom, thus reducing the price with roughly $100,000. 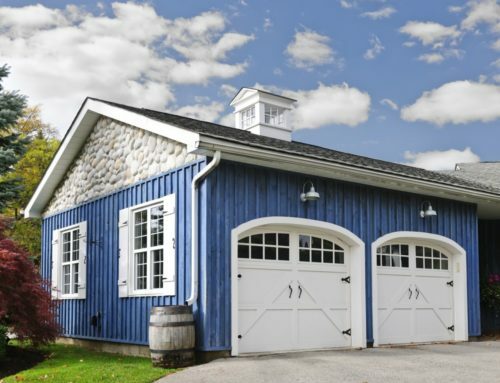 However, in this case you are saying goodbye to your garage space. Here’s another design of Method Homes but this time they opted for a classic style that looks amazing anyway. You can choose between 6 floor plans depending on your preferences but the overall design will stay pretty much the same. 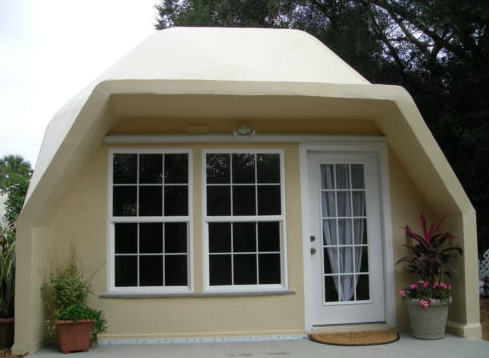 The covered porch, the small square windows and the shape of the roof are common in the US. What’s great about this design is that you get 1-2 sleeping lofts in addition to the 2-3 bedrooms. Having a loft suitable for a person to sleep in is a huge plus because loft conversions are not cheap. 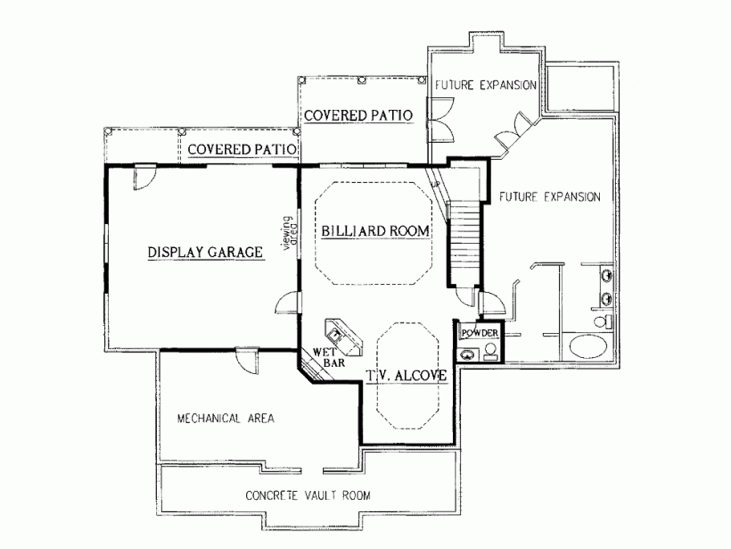 You could opt for a 4 bedroom model that lacks the loft if you don’t like it though. As for the price, a 1,484 sq. ft. house made of 4 modules with 2 bedrooms, 2 sleeping lofts and 2 baths costs $239.052. Do you own a small patch of land in a crowded city and you need a place to live? 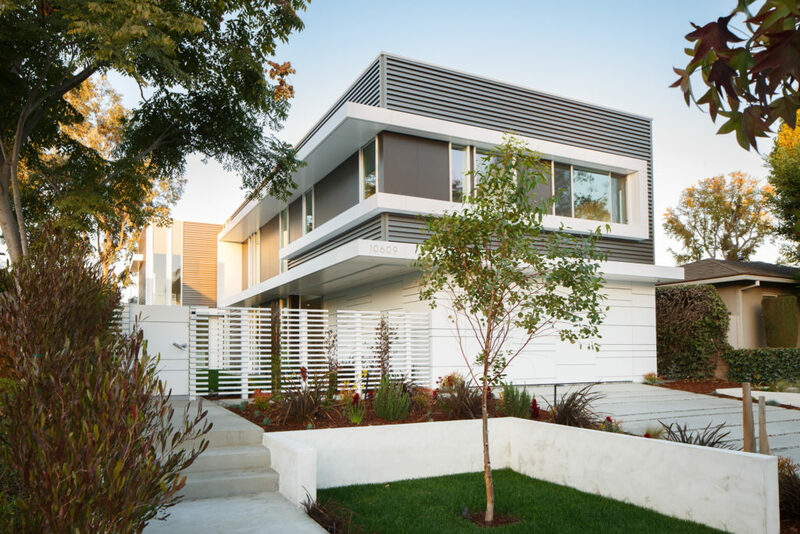 This house was designed so smart that it can fit in a 20 foot wide lot while providing 2100 sq. ft. of living space. 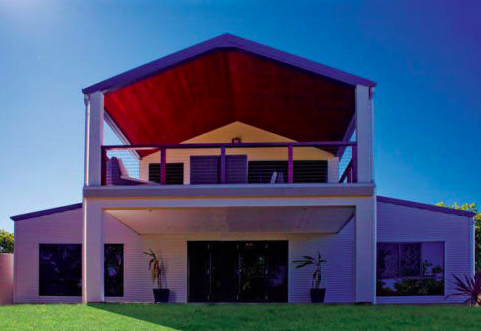 This house has 2 stories and roof decks, thus adding just the right amount of outdoor space to a spacious interior. One module measures 100 sq. ft. which makes it suitable for a lot of different layouts. This house is efficient and beautiful at the same time. With the help of a talented interior designer you can make the house feel very comfortable to achieve a balance with the rather cold looking exterior. If you are looking for a modern natural retreat for the days when you want to escape the city chaos, this is the right choice. 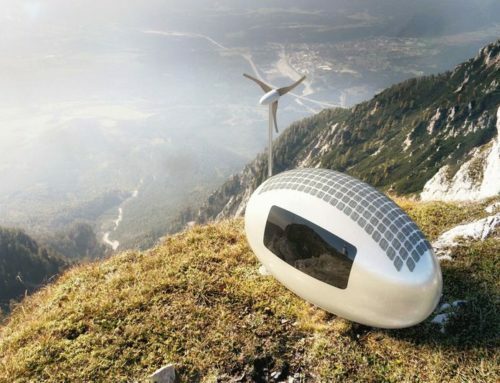 The model costs a bit over $500,000 plus a 12-15% tax for installation in the US. It will take approximately 6 months to deliver the house because that’s how much it takes to manufacture and transport the modules to your piece of land. In addition, it takes 3-5 days to put the modules together. If you are interested in this design, you can find a Vipp showroom in New York. The house will be delivered fully equipped as you see in the photos. The wall glasses are meant to blur the line between indoor and outdoor space. The house is quite small, measuring 592 sq. ft. It has a family room, 1 bathroom, and 1 bed loft, thus making it suitable for a person who lives alone or with a partner. Now let’s move on to the very cheap prefab houses available on the market. What better place to find one than eBay? 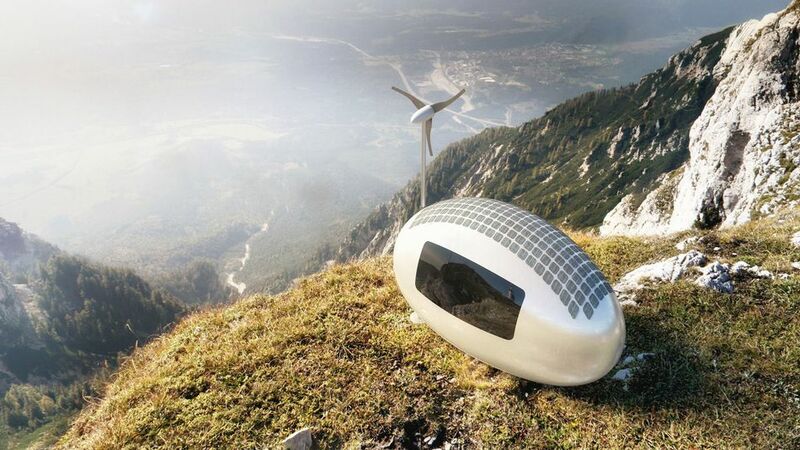 This panelized dome house building kit costs roughly $19,000 and measures 370 sq. ft.
You have to carefully read the ad because the price does not cover doors and windows (nor their framing), foundation, shipping or installation among other things. Some may say it looks weird while others appreciate its uniqueness. It’s all about personal preference, so you will either love or hate this design, there is no middle path. It has 1 bedroom, a living room and a kitchen area. The house will be assembled on a monolithic concrete slab foundation with footer but the plans can be adjusted to include a basement if necessary. Because of its even distribution of wind load (unlike in regular house designs), the dome is very strong and withstands 225 mph hurricane winds and F4 tornadoes thus making it perfect for high risk states. 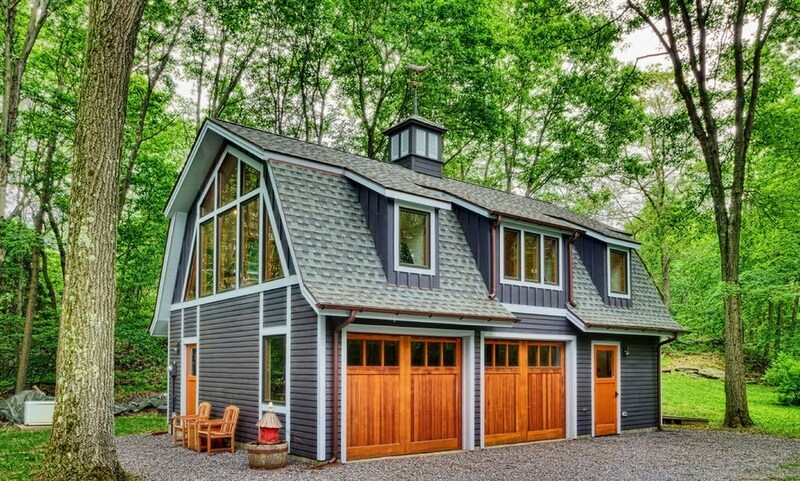 If you have always dreamt about a classic barn style house but you never had the money to build one, this is your chance to make your dream come true. This kit is assembled into a 2560 sq. ft. house with porch and it costs about $30,000. Still, it’s important to notice that the kit includes only the frame of the house and the roof. 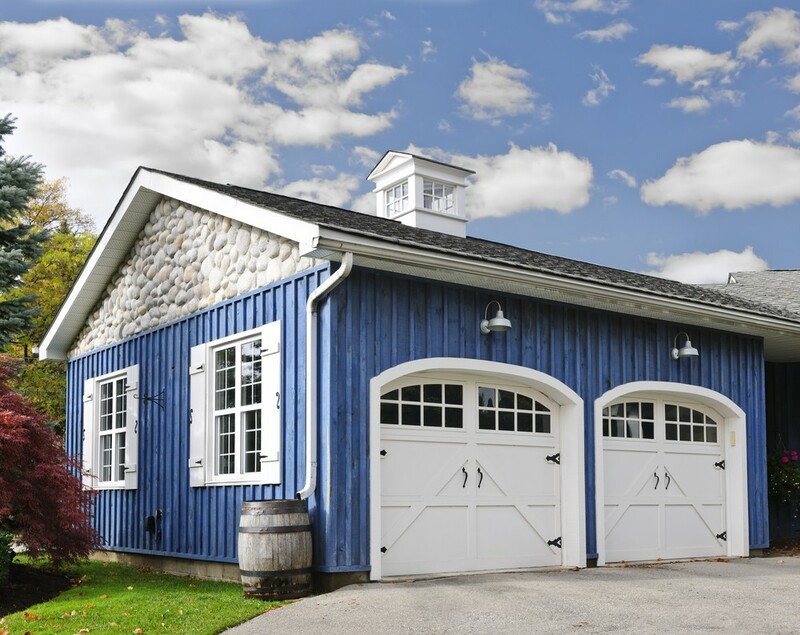 The doors, windows, and finishing are not included, which is why you have to take these costs into account. Also, don’t forget about permits, insulation, plumbing, HVAC system and electrical wiring. Anyway, the entire price of the house should not be higher than $70,000-$100,000. 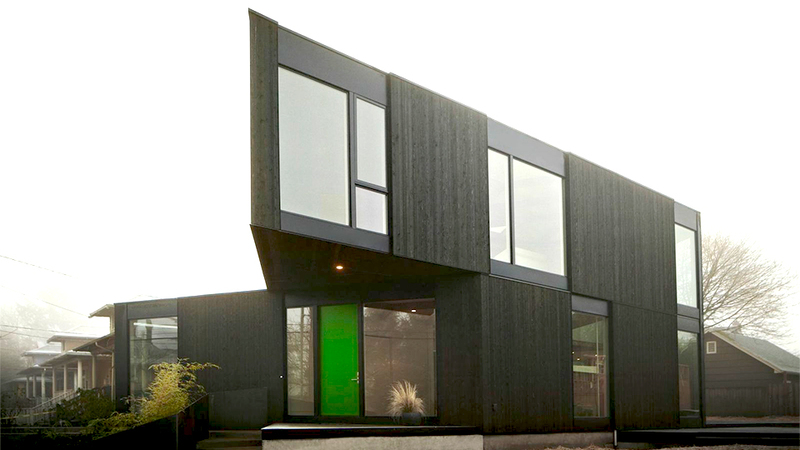 Combining a round piece with a rectangle, this house measures 1500-1600 sq. ft. and the shell costs $110,000-$120,000. The price of the shell includes the fiber cement siding, the doors, windows, WebTec floor system, walls and energy modelling depending on the climate you live in. If you want the siding, porch, the shingle roof, as well as the solar hot water and electric kits, you have to pay extra fees. The solar kits actually allows you to save up to $1,000 per year on energy bills. The house has 3 bedrooms, 2 baths, and an open floor plan that includes the living room, kitchen and dining area. You also get a laundry room and a walk-in closet. 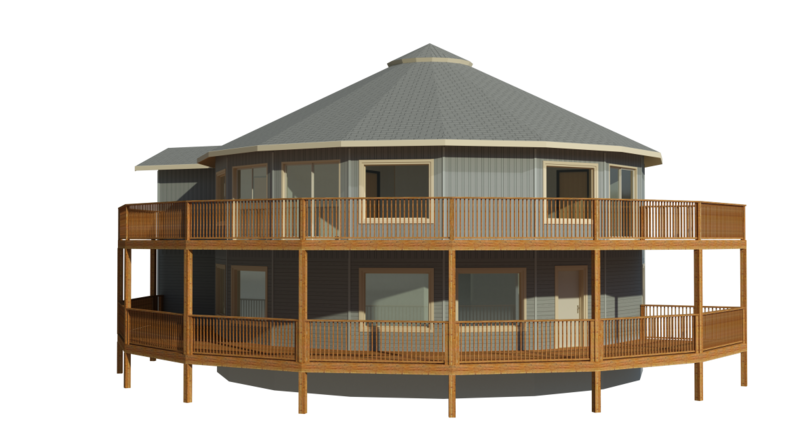 This is a round 2-story house that measures 1500 sq. ft. indoors plus around 1,500 sq. ft. outdoors thanks to its wraparound porch. The shell price of the house is approx. $150,000 but if you want it fully equipped expect to pay between $360,000 and $475,000. The estimated annual energy savings are $1,400. The house has 4 bedrooms thus making it perfect for a family with 3 kids. Do you want your house to look like this? Well, all you have to do is pay $175-$300 per sq. ft. The interior floor plan is customizable to fit your exact needs but the house will be built in modules and then transported to your location for installation. The manufacturing process will take 1 month while the construction assembly will take approx. 4 months (delivery, foundation, actual assemblage). In addition, you should take into account the time needed to get a permit, to prepare the design, to do interior finishes, landscape & hardscape work, and utility hook-ups. 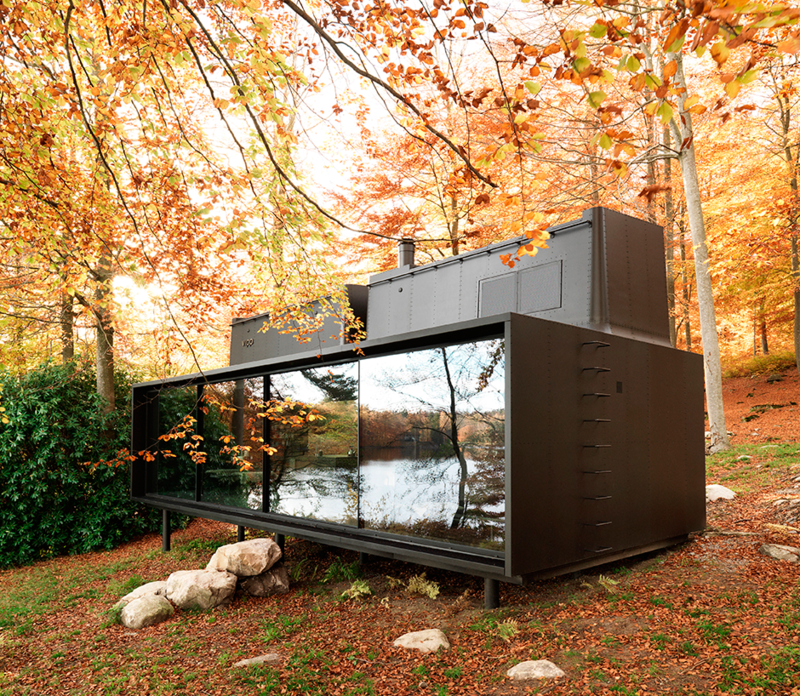 Estimated at $100,000 – $250,000, this house measures 1682 sq. ft. and is built in a ranch style. It has 3 bedrooms and 2 bathrooms, this making it perfect for a family of four. The design itself is not spectacular but rather common. There is an advantage to this though: you will never have problems with neighborhood associations. This single bedroom 750 sq. ft. house costs about $124,000 and it’s meant for people who want a simple life in the middle of nature. You have a porch large enough for 2 deck chairs and a bedroom big enough to hold a very large flat screen TV. It’s true the house is quite small but it’s cozy, so what else could you possibly want for a relaxed lifestyle? We have now reached the designs that take more than $1.3 million to build but you will soon understand why this price is so high. The design is modern, it has open interiors and 3-4 bedrooms. The butterfly shaped roof has celestory windows while the 16′ wide sliding glass walls open fully to create an expansive living area. 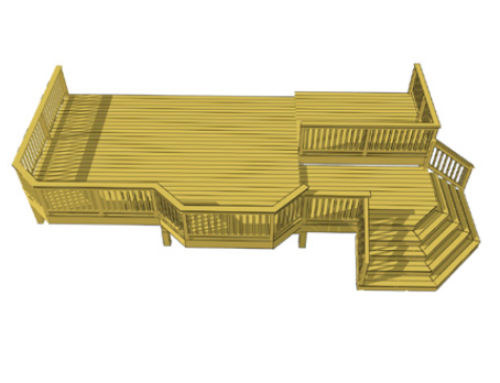 The decks offer plenty of outdoor space while the high quality insulation allows you to cut $1,500 per year off of your energy bills. The price of this house starts at $1 million for 2,504 sq. ft. spread across 2 stories. 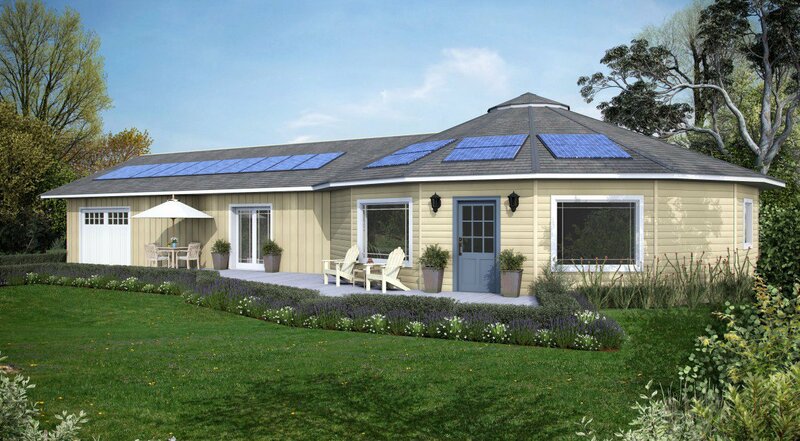 You get a roof deck accessible through the master bedroom, a shed style roof perfect for solar panel installations and a MERV 15 air filtration system. There are a total of 3 bedrooms plus 1 media room and office space, which is more than comfortable for a family of four. And last, another $1.3 million house that measures 3.565 sq. ft. confined in a 2-story design. There are 3 bedrooms and 2.5 baths. The 13′ high ceilings combine versatility with stunning views, and so does the private balcony of the master bedroom. The bedrooms are upstairs, while the living room area is at ground level together with the laundry room and media room. 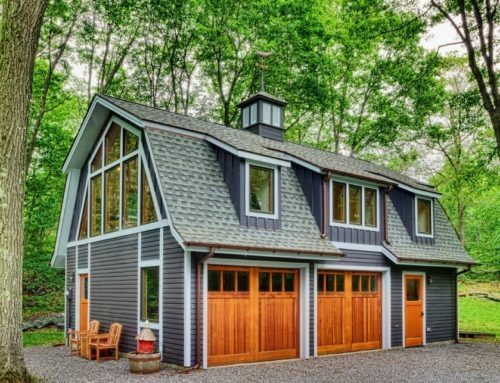 After seeing these designs, some cheap, some expensive you should have a fair idea of what types of prefab houses are available on the market and how much it would cost to have them built. In general, the entire process has the following steps: you make the order, they build the modules and after they deliver them to your location, the installation starts. This step can take as little as a few days or as much as a few months depending on the complexity of the project. If you didn’t opt for a turnkey package, there is one more step left: to make the house suitable for living. The whole process still is takes less than building the house from scratch.